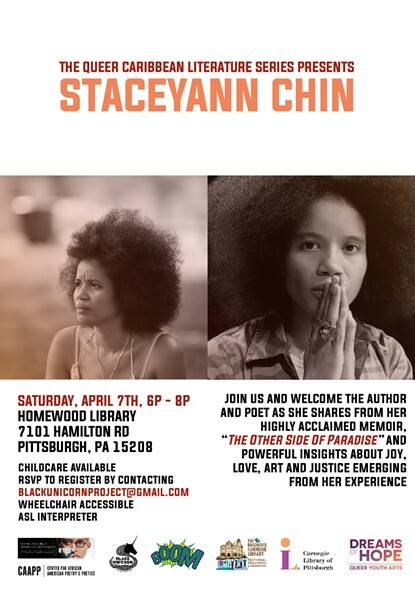 Please join us and welcome the author and poet as she shares from her highly acclaimed memoir, The Other Side Of Paradise and other powerful insights about joy, love, art and justice emerging from her experience. She will also be discussing what it means to challenge homophobia across the Diaspora and how we build solidarity as Black and brown LGBTQ people around the world. Bare witness to a person who has fought to shape her life against all odds and to have her voice heard!